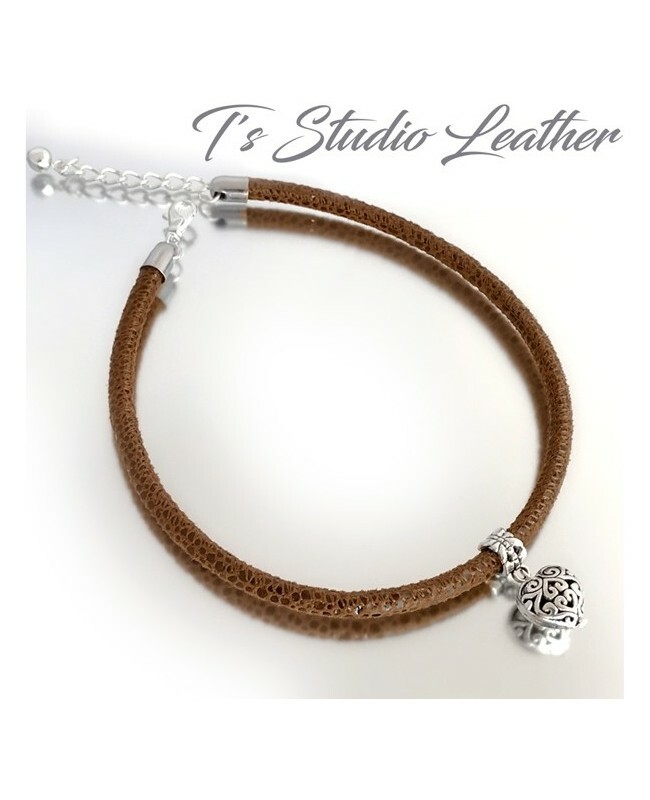 This gorgeous choker necklace is made with 5mm round brown leather in a very soft textured pattern. It is accented with a filigree silver charm on the front, with a silver lobster clasp in the back. I gladly accept custom orders, so please feel free to contact me if you would like this necklace in a special color, or a different themed charm.